George Thomas Marshall is the founder and producing director of the Flickers, the Newport Film Society & Arts Collaborative, a non-profit organization with 35 years of experience producing arts programming and providing creative outlets for filmmakers and visual / performing artists. 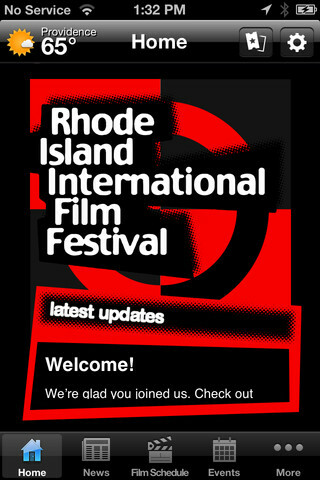 In addition to producing the acclaimed Rhode Island International Film Festival, one of Flickers' most successful events to date along with its extensive side-bar programs, Flickers also created the annual Jubilé Franco-Américain - a week-long celebration of French Canadian culture, art and cuisine which was held from 1995-2005 in Northern R.I. This event was awarded the Governor's Tourism Award and drew over 20,000 annually. Mr. Marshall is the founder of G.T. Marshall Communications, a multi-faceted agency specializing in creative advertising, video/film production and collateral projects. Clients have included the former Brooks Pharmacy, Time Magazine, Citizens Financial Group, Shell Oil, the Rhode Island Historical Society, Blackstone Valley Tourism Council, Hewitt Associates, New England Patriots, Park Place Presentations, Sonalysts Studios, Weather Services International, UNIFI Communications and Roger Williams University. He is an award-winning producer/creator and is well-respected among communication industry peers. From 1986-2000, Mr. Marshall created, produced and hosted the fine arts informational television program, "Between Takes," which received numerous awards from the states of R.I., Massachusetts and national recognition. During its run, 294 half-hour programs were created. His production and multi-media work as a producer, director and writer have won five New England Emmy awards out of 13 nominations, won four national Telly awards, top prizes at WorldFest Houston, and won three national Communicator Awards for Excellence. In 2012, he shared an award presented by NESHCo (New-England Society for Healthcare Communications) with the Brattleboro Retreat for marketing collateral around the Anna's Vision Film Festival (part of the North Country Film Festival) that he created. He was the Executive Producer for " Behind the Hedgerow: Eileen Slocum and the Meaning of Newport Society," directed by David Bettencourt (2010); and the Executve Producer for "Half Pint," directed by Duncan B. Putney (2013). Mr. Marshall holds bachelors and masters degrees in political science with a focus on political communications from the University of Rhode Island and Brown University, respectively, and studied film at the University of Southern California. He served on the board of directors for Christmas in Newport and was the vice chairman of the Newport Cultural Commission, where he created the city of Newport's First Night Celebration, the annual Scholarship Award, and the January Film Festival. He was also President of the Newport-based Children's Dance Theatre where he produced a video documentation of "The Snow Queen" which was narrated by actress, Joanne Woodward. In 2013, he became an at-large "Story Board" member with the Salve Regina University's Pell Center for International Relations and Public Policy's leadership on the development of the Story in the Public Square (SIPS) initiative. (Board List). In 2014, he became a member of the Executive Advisory Board of the Harrington School of Communications and Media at the University of Rhode Island and the Community Advisory Board for the Rhode Island Public Broadcasting station, WSBE. He is an active member of the National Academy of Television Arts & Sciences, Alliance for Community Media, the International Television Association, a Media Panelist for both the Massachusetts Cultural Council and the Connecticut Commission on Arts, Culture and Tourism, and is listed in the International Who's Who of Professionals. He was selected in the fall of 2002 and 2003 as "One of the Most Influential People" in Rhode Island by the Providence Phoenix. In 2003, he was made a Rhode Island Foundation Fellow for his role as an arts leader in the state. In January 2005, he was presented with an Alumni Achievement Award in the Arts from the University of Rhode Island. In 2007, he was recognized by Mayor David M. Cicilline and the City of Providence with a Citizen Citation for his achievements in the arts and the media industry. In 2008, he was cited by the Providence Phoenix as one of "30 Local Luminaries" in the state of Rhode Island. In 2014, he was presented with the "Dream Maker" award by Steven Feinberg, Executive Director, RI Film &Television Office, for inspiring and supporting young filmmakers and artists. He teaches mass media communications, film studies, television, field production digital news gathering, public speaking and acting for camera courses at various colleges and universities in the area and serves as media / marketing consultant to businesses and non-profit organizations. Mr. Marshall is a frequent contributor, adjudicator and participant on industry panels and seminars exploring the evolution, culture, growth and future of independent film and media literacy. 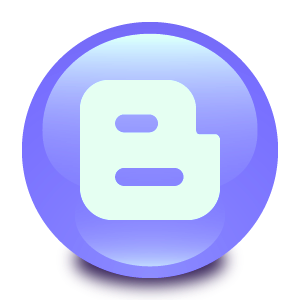 He completed a chapter entitled "Teaching Digital Documentary Film New Technologies Meet the Art of Storytelling" for the college text book: “Teaching with Multimedia: Pedagogy in the Blogo/Websphere,” which was released in 2011. He worked with fellow faculty to develop a Film Minor through the Communication Department at Roger Williams University. In 2006, he created a Special Topics Course at the University on "Documentary Film and Journalism," (now Documentary Film) which he teaches yearly as part of the Minor. He was on a committee that developed the New Media & the Global Diaspora Symposium, at RWU, October 2008, where he chaired a panel on international media and film. In the Fall of 2009, he created and taught the first "Introduction to Film and Video" course on campus. In the Spring of 2010, he introduced to the curriculum: "Curation and and Film Festival Production," a senior-level seminar. He also was part of a team that created and introduced "Documentary Production," "Introduction to Screenwriting," and "History of Film," to the curriculum. 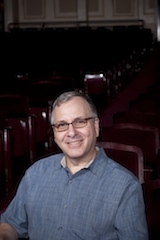 Currently, he has established the Roving Eye International Film Festival as a yearly event, brought the Tournées French Film Festival on campus, and created a twice yearly film/lecture series on the Jewish Experience with the Interfaith Ministry at RWU. In the Fall of 2011, he helped form and now advises the RWU Film Production Club and the Screenwriter's Guild. The Club is currently working on a number of creative efforts, including documentary shot in Costa Rica and Nicaragua in 2013 for FIMRC (Foundation for International Medical Relief of Children) that Mr. Marshall is producing. He has also worked closely with the Anthony Quinn Foundation and the Advancement Office at Roger Williams University on the development of new outreach programming for the Foundation. In 2014, he formed and advises the Ciné Club at the University. He is currently researching the art and craft of the short film, for which he will develop a new teaching text and college course. In the Fall of 2008, Mr. Marshall chaired a panel on Documentary Film at the Ruff Cutz Indie Film Conference, Center for Digital Imaging Arts at Boston University, Waltham, MA. and presented on a panel at the International Film Festival Summit (IFFS) in Las Vegas, Nevada. His topic was creating new modalities for "Building a Culture of Community Outreach." 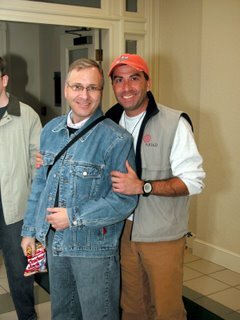 In 2010, along with the Martha's Vineyard International Film Festival and the Woods Hole Film Festival, he was a principal in the creation of the New England Film Festival Alliance (NEFFA), an organization designed to link New England Film Festivals and create a nexus for joint sponsorships, information sharing and cross-promotion. In 2011, he expanded the RIIFF Youth Film Jury into a Youth Jury Association whose mission is to reach beyond Rhode Island. 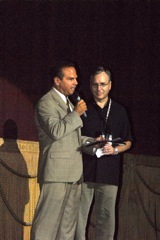 In the Fall of 2010, Mr. Marshall introduced a new film Festival that he created to the New England region: the Flickers: North Country Film Festival. Launched in late September at The Balsams in Dixville Notch, NH, the annual Festival was designed to spur cultural tourism and job creation. In 2011, the Festival secured a partnership with the Brattleboro Retreat in Vermont with plans to undertake continued joint programming. Mr. Marshall makes his home in Newport, RI. He is married to Lawrence J. Andrade, Director of Research and Development at Dominion Diagnostics in Quonset, RI. To download Mr. Marshall's CV, click here. • Listen to George on "Travels with Stephanie Abrams"
George and Larry at RIIFF fundraiser in Providence.